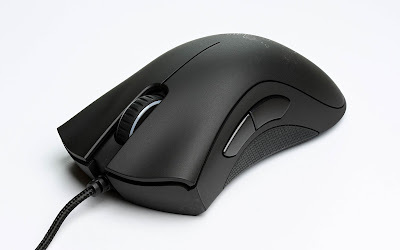 I've never actually needed to modify the mouse scroll wheel speed until recently, when I got a new mouse and I wanted to change the scroll wheel settings. That's when I noticed there's no such option in Unity / GNOME Control Center. I searched for ways to change this under Linux and the easiest to use seems to be "imwheel", a command line tool that can be used to tweak the mouse wheel behavior and which, among others, can change the scroll speed of the mouse wheel, and I decided to share the information with you. "3" at the end of lines two and three represent the number of lines to scroll ("3" should be default) - modify this number to suit your needs. Once you're done, save the file. The first (". *") line from the code used above represents is used to specify in which applications to use those settings. ". *" means everywhere, but you can also apply application-specific settings by changing ". *" to the window name (and add multiple application-dependent settings). Run "man imwheel" for more information. And finally, the last 4 lines in the code above are there to allow Ctrl / Shift with mouse scroll wheel up / down to work (for instance, to allow zooming in on a webpage in the web browser, etc. ), which is the default behaviour. 3. Start imwheel (type "imwheel --kill" in a terminal). " --kill" is used to make sure other running instances are terminated, so they don't interfere. This is important for a proper setup (another way to make sure imwheel is not running is to just use "killalll imwheel"). ... and the back / forward buttons should work (thanks to biohazara for the tip!). 4. Since these settings are only applied when imwheel is running, you should add imwheel to startup (if you use Unity, to do this, open Startup Applications, click "Add" and under both "Name" and "Command" fields, add "imwheel --kill"). Also, like I mentioned above, if you have back / forward mouse navigation buttons, use the following command instead of simply running "imwheel --kill" or else those buttons won't work: imwheel --kill --buttons "4 5"
It's important to mention that imwheel applies the settings available in ~/.imwheelrc when the application starts and it doesn't update when changing the configuration file. So if you modify the configuration file, you'll need to close imwheel and start it again to apply / test the changes (you can close/kill it using the following command: "killall imwheel" or run new instances with "--kill"). if you only want to change the scroll wheel speed in Firefox and Chrome, you can do this from within the app or using an extension: Firefox | Chrome, etc. via AskUbuntu; image via Wikipedia.